A Canterbury University group researching artificial intelligence in education has received further funding of $250,000 from the Tertiary Education Commission. The Intelligent Computer Tutoring Group (ICTG), working within the University's Computer Science and Software Engineering Department, was awarded the grant through the TEC's e-Learning Collaborative Development Fund (eCDF) for a project called ASPIRE. ASPIRE is a web-enabled authoring system for building intelligent tutoring systems. Its targeted user group is tertiary teachers who will be able to use it to develop online tutorials for their courses. The ICTG was one of 11 successful applicants to share in the latest funding round and it is the second grant the group has received from the eCDF. In the last financial year, the first year of the project, the ICTG was awarded $417,000 when ASPIRE was first being developed. The eCDF was set up by the Government in 2003 for a four-year term to build e-learning capability in the tertiary education sector. Associate Professor Tanja Mitrovic (Computer Science and Software Engineering), who is leading the project with Dr Brent Martin, welcomed the grant saying it would give the group enough resources to concentrate on getting the project finished. She said the latest grant would be used to develop a training model for tertiary teachers to help them use ASPIRE. The programme would also be monitored while in use in classroom settings to see if refinements were required. 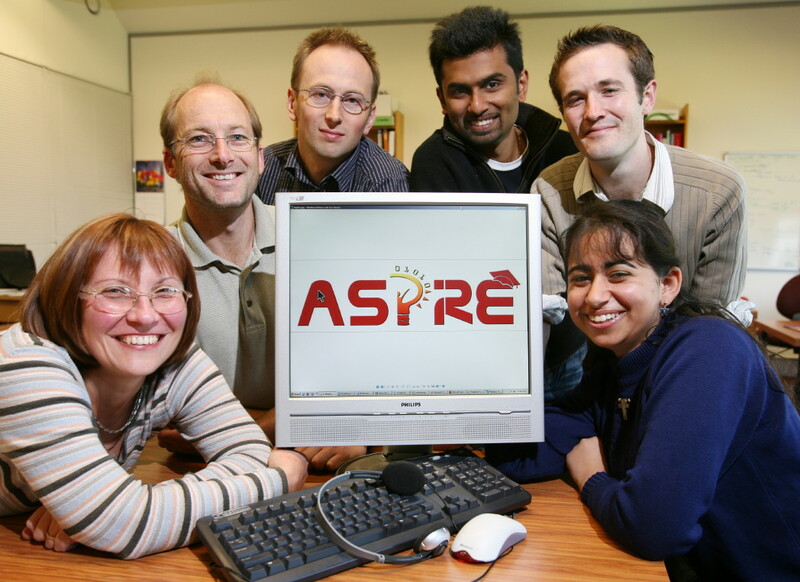 The ASPIRE project started in July 2005 and was motivated by a desire to make the creation of intelligent tutoring systems easier, Professor Mitrovic said. "We (the ICTG) have developed intelligent tutoring systems for lots of different areas and some are used regularly in classes in computer science. But, after all that we started thinking about how we could make their development easier, because it takes a lot of time and effort to develop them, and also make it easier for tertiary teachers using such programmes to create tutoring systems for their courses. An intelligent tutoring system is a computer-based problem-solving environment, in which a student solves a problem and receives individualised feedback and support from the system, similar to working with a human tutor in a one-on-one situation. The system tracks the student's performance, and generates a model of the student's knowledge, which is used to adapt the instructional session to the needs and abilities of each student. Also working on ASPIRE are four postgraduate students, Pramudi Suraweera, Konstantin Zakharov, Nancy Milik and Jay Holland.